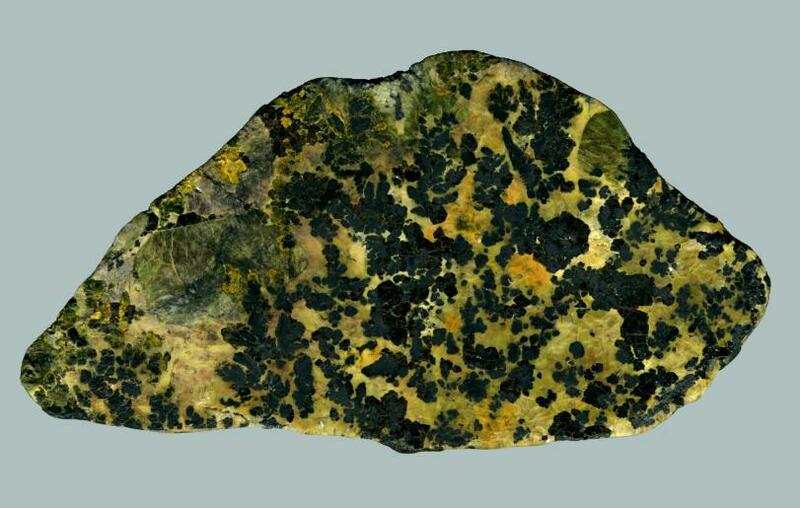 Comments: Polished slab of black "gummite" ore with the uraninite altering to various secondary uranium minerals in a brecciated matrix. Location: Ruggles mine, Graton, New Hampshire, USA. Scale: Specimen size 11.4 cm.